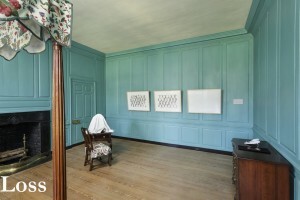 The artists in this room use traditional craft techniques to construct pieces that relate to real and fantasy worlds. 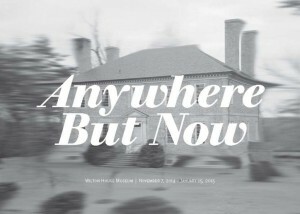 This is a site-specific piece created especially for Wilton and Anywhere But Now. To make Displacement, Valentine mimicked the original wood paneling of this room with linen thread in a bobbin pattern to create a large lace piece. Bobbin lace is am historic craft that was primarily practiced by women in the domestic sphere during the 17th and 18th century. 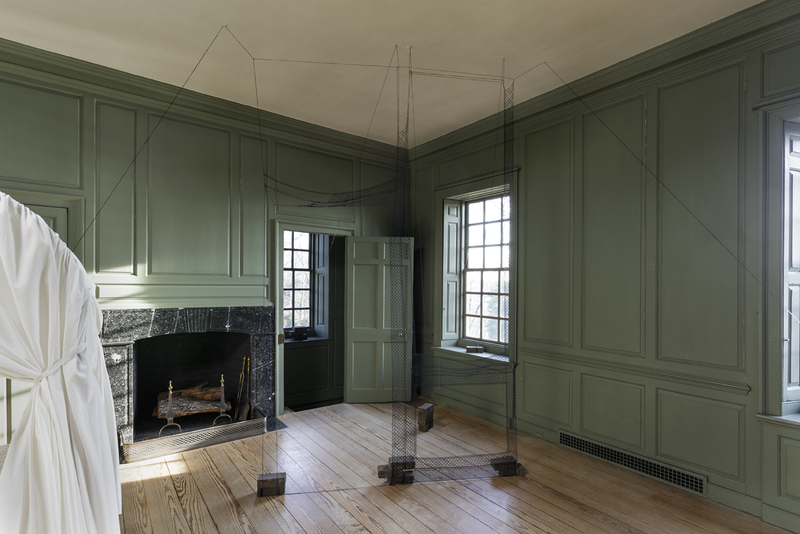 Valentine adapts this practice by making lace panels on a large scale that respond to architectural spaces. 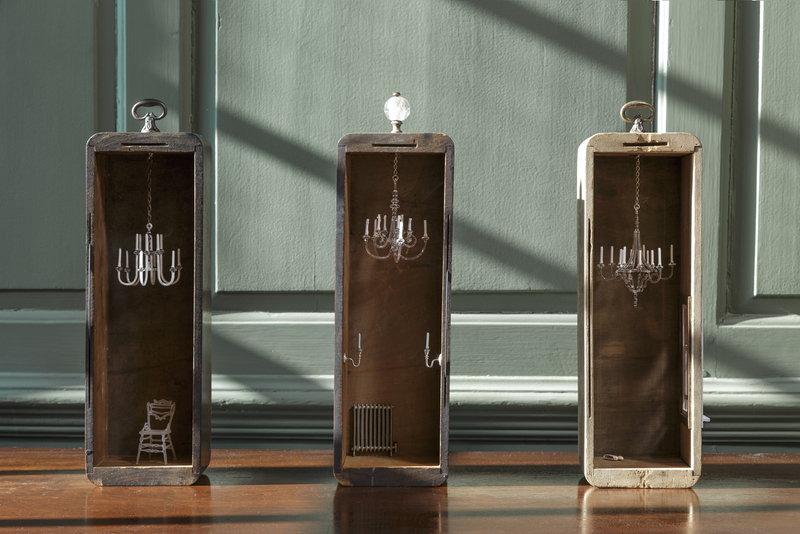 These works were constructed from antiques Singer sewing machine drawers. 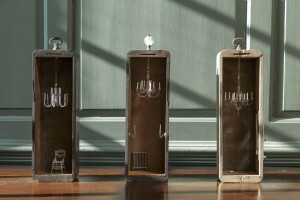 In each drawer Demagall has created a setting for a miniature domestic scene. 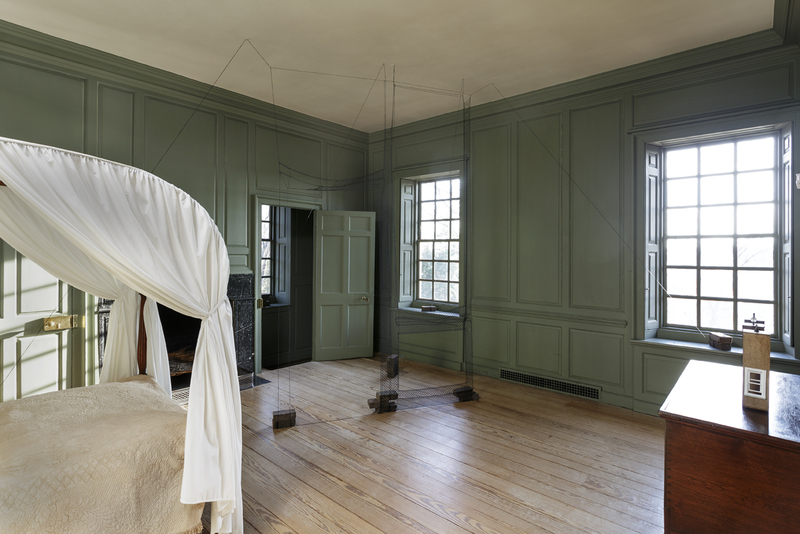 Each of the small glass objects in the scenes was crafted by hand. Unlike her other piece in this exhibition, Demagall’s artworks do not relate to specific memories. Instead, she uses antique objects that have been a part of other’s lives to create miniature fantasy worlds that invoke the past.